Motorola is finally here with a refreshed version of its Moto Z2 Force for 2017. The impressive smartphone (a.k.a. 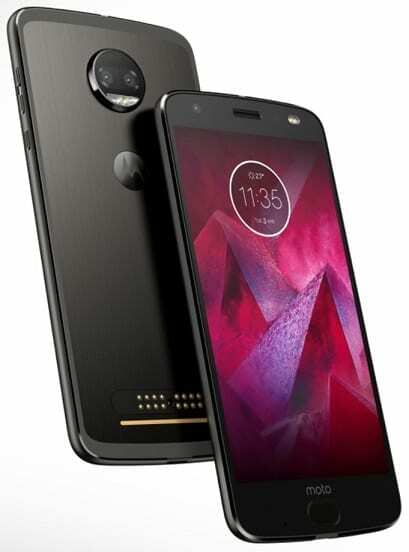 Moto Z Force Edition (2nd Gen)) retains its solid construction and features latest flagship processor by Qualcomm among its upgrades. Coming in 13% lighter than its predecessor, the Moto Z2 Force is one sleek and elegant device. The weight has also reduced by about 12 percent, compared to the 2016 offering. It parades a unibody design featuring 7000 series aluminium for what should be amazing durability. Combine that material with a five-layer shatterproof glass and you have a device truly ready for a beating. Moto Z2 Force rocks a 5.5-inch Super AMOLED touch display that looks great as ever. The screen resolution is Quad HD – that is, 2,560 x 1,440 pixels. Expect great visuals. This is one of those devices that pack in two cameras on the rear. 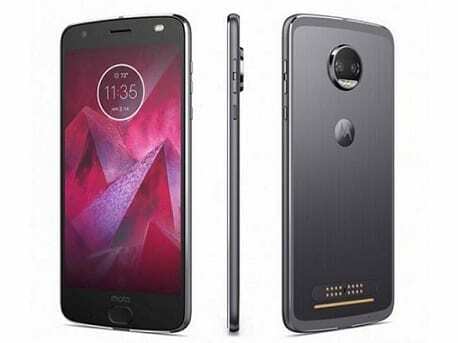 Moto Z2 Force has dual 12 megapixel sensors that boast both laser and phase detection autofocus technologies on the back. The dual-lens shooter promises great quality images up to a distance of five metres. You still get great shot in the dark. The selfie snapper is a 5 megapixel unit. The Moto Z2 Force offers arguably the best processor you can ask for right now: Qualcomm Snapdragon 835. This is what you expect of a current flagship device. So robust performance is not negotiable, especially when you have 4GB or 6GB RAM on board. Internal storage has a capacity of 64GB, expandable by up to 256 GB via the microSD card slot. The Moto Z2 Force boots Android 7.1.1 Nougat operating system. The 2,730mAh battery on offer here may be considered a bit disappointing, especially with the potentially power sapping features on offer. But Motorola promises full day use on a single charge for the Moto Z2 Force. The company offers even more MotoMods, most notably a 360 degree camera and a gamepad that promises Nintendo console-like experience. The 4G LTE enabled phone offers a reversible USB Type-C port for data and charging. Moto Z2 Force will support LTE on MTN, 9Mobile, NTel, Smile, InterC, and Glo Mobile in Nigeria. Moto Z2 Force is not yet available in Nigeria, Ghana, and Kenya. You can buy the smartphone at leading online stores in the countries. Moto Z2 Force Price in Nigeria is expected to range from 273,000 Naira to 350,000 Naira.